I recently interviewed Daniel Kuhns, Web Manager at FEMA, about the site widgets and the FEMA app his organization has been developing. The widgets currently available include: FEMA App, Preparedness, Severe Weather, Private Sector, Kids Fire Safety, and Are you a Disaster Survivor. 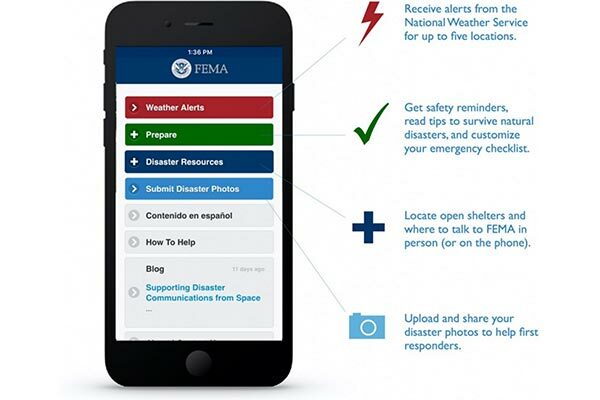 The FEMA App offers many features such as weather alerts, safety reminders, shelter information and contact information. This information can be very helpful in times of an emergency, and some of it, to include the safety tips, are available offline. The FEMA widgets are a good example of syndicated content. Through digital media syndication, emergency based resources can be combined with ongoing activities at the state and local levels, and can help coordinate emergency messaging for maximum impact and reach. Spread the word on the availability of these tools. They have the ability to be lifesaving. You can download other helpful mobile government apps with just a few clicks from our USA.gov Federal Mobile Apps Directory. Federal agencies can get their apps listed in the directory by using the Federal Mobile Products Registry. Got a great idea for a mobile product or service and need help planning or releasing it? Contact the Mobile Application Development Program. Are you a federal employee interested in how agencies are using mobile technologies and building government-wide solutions? Join the MobileGov Community of Practice with your .gov or .mil email address. « Are Chatbots the Next mHealth Frontier?